After many prophesies and much prayer, I finally answered the call to the Pastorate on Easter Sunday, April 2004. After meeting with my local Pastor; receiving his blessing and full support from my wife, Toni, I began to prepare to look for a location. One of the things on my heart was to find a place where I could shepherd family. Since God established the church structure like that of an intact family, I felt it would be appropriate to begin at that point – to develop a family of believers where there was a Dad, Mom, Brothers, Sisters, extended Family who loved, supported, respected each other and wanted to be in relationship and encourage one another. The questions in my heart were, “how do you get people who have been hurt to trust again, how do you get people who have lost their hope, to hope again, how do you rescue people, how do you provide a place of refuge for them and finally, how do you restore them back to a state of wholeness. God instructed us to do two things. To organize and conduct a service where we could invite friends, family and the five ministries that had been very instrumental in our religious preparation and spiritual develop as we moved into this next phase of our lives. The second thing was to start the first church service on Sunday, December 2004. We looked at several locations, but could find nothing suitable. We had just purchased a property to lease in our neighborhood. Our first thought was to start a home Bible Study, but we ended up actually establishing a Sunday morning service and Wednesday evening Prayer and Bible Study. 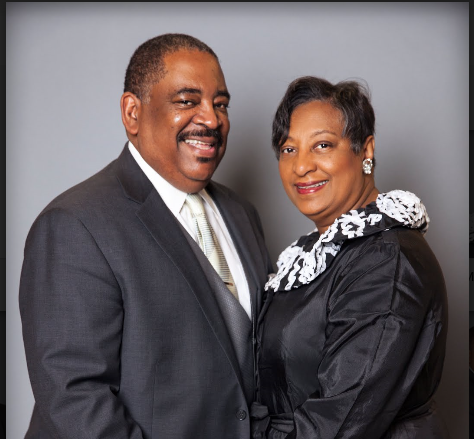 On December 5, 2004, Toni and I founded The Carrie House Church of God in Christ in a home located at 4839 S Holly St, in South Seattle in honor and memory of my Grandmother, Mother Carrie Reese. We had two very special guests at our service on that day. Bishop T. L. Westbrook, the Jurisdictional Bishop of the State of Washington and my Mother, Mother Willa M. Reese, the Assistant State Supervisor of the Women’ Department, along with 4 families that decided to be a part of our ministry. Toni and I are in awe of how God has blessed our humble beginning.